We started business in Evesham just over 10 years ago with one guy in a small office selling just a few lines of imported exotic veg. We’ve grown the business considerably over the last few years and now have thirteen staff and offer a full range of UK and imported products mainly to the food-service, export and secondary-wholesale sectors. Our cold-storage and pallet-collation was being carried out by third-parties. 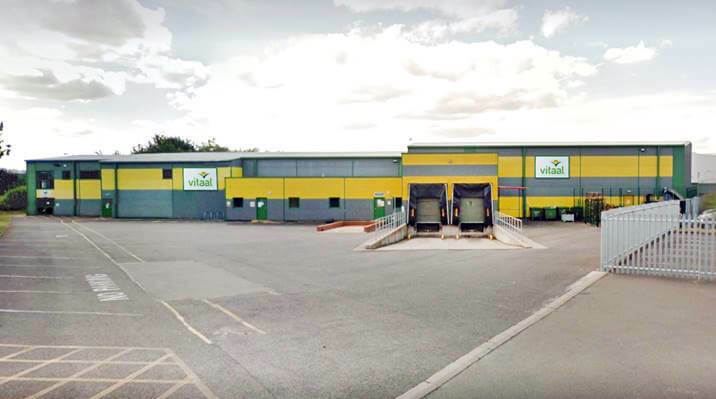 Having built the business to a level that justifies bringing these operations in-house, we have invested £2m in an ex-Wellpak warehouse on the Vale Park estate and a small fleet of lorries and vans. This will become our central cold-storage, pallet-collations and distribution hub for the UK. It’s a sizeable investment but one, from experience, we’re confident will pay off. We made the same move in Holland in 2011 – moved from third-party to our own facility in Poeldijk. No huge savings on costs but service-levels shot up and therefore sales increased – we hope to replicate this in Evesham. The plan is to move operationally to the new warehouse over this month. In March we will be holding an Open Day for customers and suppliers – date TBC. In the meantime, if you’re in the area, feel free to drop in for a tour – please contact Scott Hollins on scott@vitaal.co.uk.